Gone are the times when flagship smartphones drew most of the attention. With the fast-paced development of the budget devices, a lot of consumers, especially in developing markets like India, are looking at smartphones in the sub-$300 segment. And with this shift, manufacturers are striving to ensure that best-selling budget devices run the latest software. Honor, one of the fastest growing smartphone brands in India, is also committed to bringing the latest version of Android to its budget phones and we’ve now learned that Android 9 Pie update is now rolling out to Honor 8X. As per XDA’s Recognized Contributor miststudent2011, EMUI 9.0.1 based on Android 9 Pie is now rolling out to Honor 8X. Back in January, the company began testing EMUI 9 beta on Honor 8X and recruiting beta testers. The stable update is now rolling out to select users and it weighs in at 3.14GB, so make sure to switch to Wi-Fi instead of burning mobile data. As per the changelog, the update brings a simplified UI, new productivity features to sound recorder, an updated version of Huawei Share, and faster launching of apps. While the region of the update has not been specified by the Contributor, at least one user has confirmed receiving the update in Macedonia, which means that it is aimed at global variants of the Honor 8X and is not limited to the Chinese units. 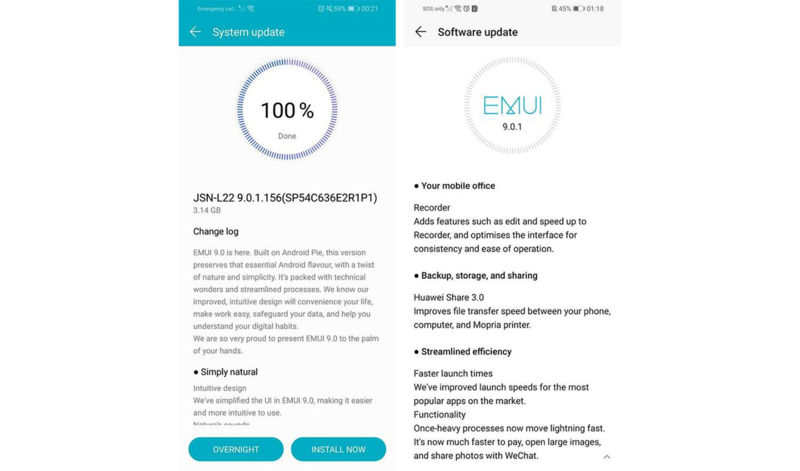 Besides the Honor 8X, the company is also testing the EMUI 9 update for Honor 8 Pro globally and for Honor 7X in China. Meanwhile, Honor Play and Honor View 10 have already received the Android 9 Pie update. To check for the latest software update on your Honor 8X, head over to Settings>System>System update and Check for updates. The OTA will roll out to users in a phased manner and if you haven’t received the update yet, you should get it in the coming few days. If you want to fetch the update faster, you can use the Firmware Finder app but make sure to select the correct version of your Honor 8X or the update will not be compatible. Thanks to XDA Recognized Contributor miststudent2011 for the tip.